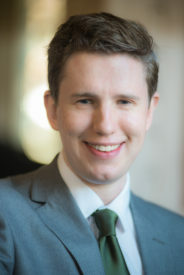 Matthew Guest is the Policy Manager (Knowledge Exchange & Industrial Strategy) for GuildHE, the representative body for small and specialist universities and colleges within the UK. He leads on policy areas relating to university knowledge exchange. In particular he focuses on Industrial Strategy; innovation policy and Brexit. He coordinates the associated networks and supports the work of GuildHE Research. Before joining GuildHE, Matthew was the Marketing Manager for a medium sized charity. He previously worked for five years at the Centre for Charity Effectiveness at Cass Business School, City, University of London, project managing programmes including the Lord Mayor of the City of London’s Charity Leadership Programme and coordinating business development activities. Prior to this, Matthew was the Director for Student Development & Activities at the University of St Andrews Students’ Association. Outside of work, Matthew is the Honorary Treasurer at Community Southwark and serves on the PCC for Battersea Parish Church. Matthew holds an MSc in Voluntary Sector Management from Cass and an MA in Classics from St Andrews.